We were over the moon to be back at Askham Hall for Diana and David's big day, and what a day it was! 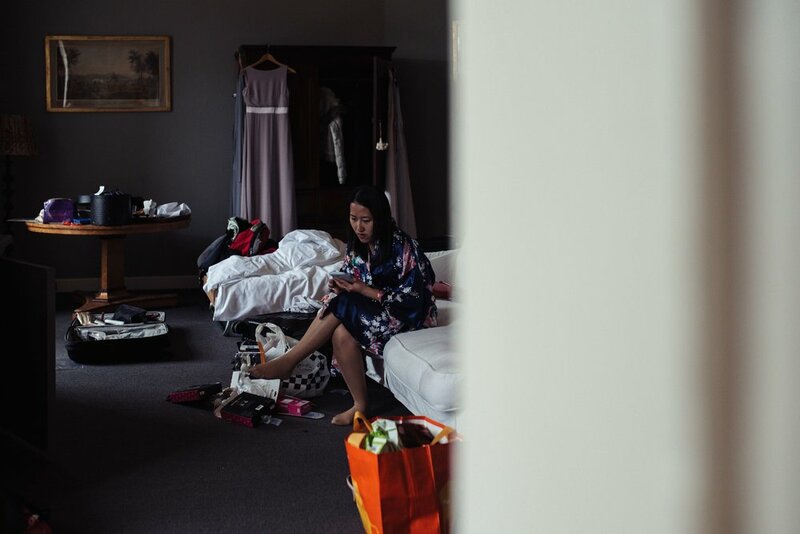 Diana and David had a Chinese-UK fusion wedding, with both cultures given equal representation. The day started early with door games; essentially the boys competing against the girls and proving their worth to the bride waiting upstairs. It saw the boys engaging in activities from drinking golden syrup out of a plastic cup, to braving being waxed in the most painful of places.. Fun to photograph, but not so fun for David's groomsmen! Diana and David followed the games with a traditional Chinese tea ceremony. A beautiful array of emotions filled the room as the lovely couple offered tea to their friends and family, and received sentimental gifts. It was just the most insanely intense day, with so much going on it forced Alex and I into Ninja mode! We loved every single minute, and we thank Diana and David for allowing us to be a part of their big day.